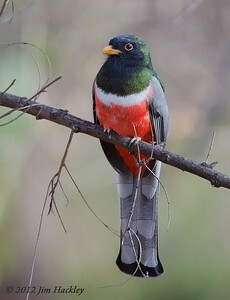 Living in SE Arizona gave us the opportunity to seek out the Elegant Trogon. 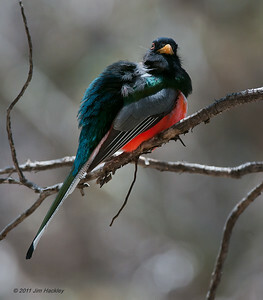 Our first sighting was in Madera Canyon. 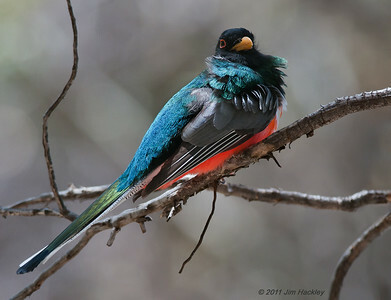 Our second encounter we were hiking in Sonoita creek in Patagonia Lake state park (AZ). 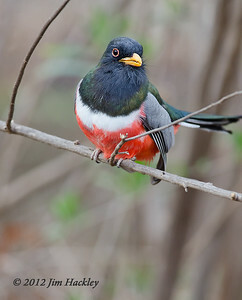 To my surprise this bird was very tolerate and easy to follow. 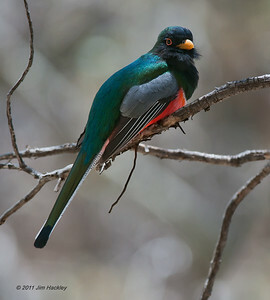 It would fly from one tree to the next tree but really never tried to fly away. 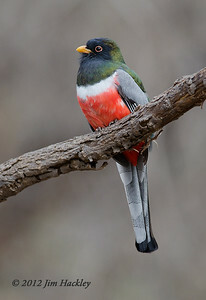 The amazing thing was how approachable this Trogon was as I was close enough to get many full frame images. 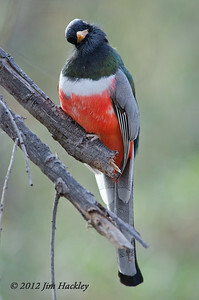 Another interesting observation was that the Trogon seemed curious about the camera shutter. 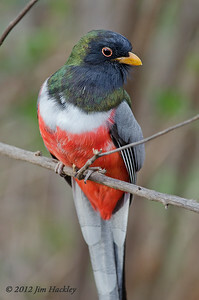 On several occasions after hearing the clicking of the shutter it would move it's head back and forth was trying to figure out where the shutter noise was coming from. 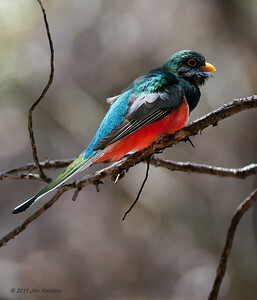 I slowly raised the camera and fired off a burst of images and to our surprised the Trogon answered back and flapped his tail. 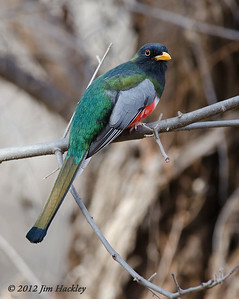 I took another sequence of images (click, click, click) and the Trogon answered back each time flapping his tail up and down. 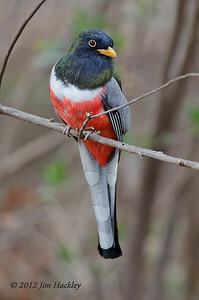 I turned to my wife and said "Can you believe this is happening!". 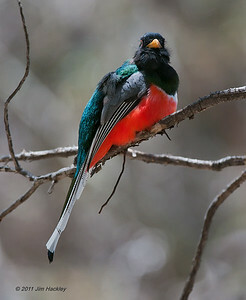 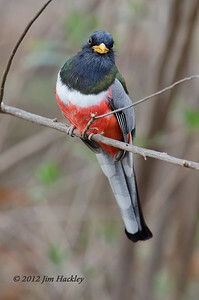 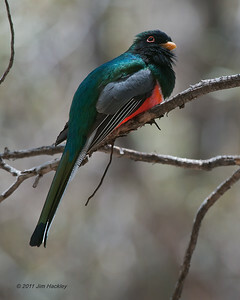 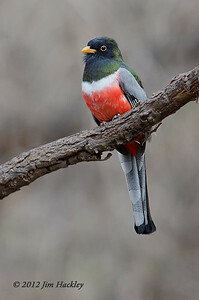 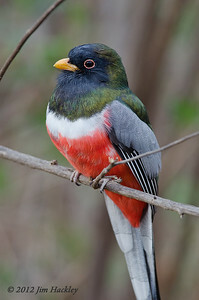 It was the first time I have ever had a bird interact with us and the amazing thing was that it was an Elegant Trogon.